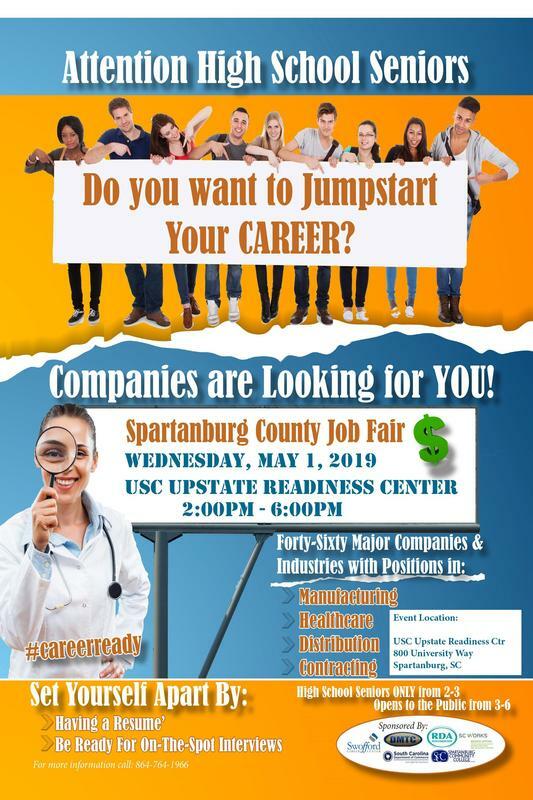 High School seniors are invited to attend this upcoming Spartanburg County Job Fair. At least sixty local companies will be looking for students interested in manufacturing, healthcare, distribution and contracting. This event, on May 1st, is only open to seniors from 2-3 but will then open to the public until 6. Be sure to add this to your calendar!